From the same company that invented the floating floor system, Pergo, comes yet another great product I'd like to discuss here today. The item I want to talk about is a new underlayment sold at your local Home Depot store. Its the new Pergo FloorMate, and is more than simply a cushion needed for any floating (laminate or real wood) flooring systems. The biggest impact this can have for any installer or do-it-yourselfer is how easy it is to install, let alone it's benefits over other similar materials. If you don't already know or just need a refresher, flooring underlayment is required for most floating floor plank systems, which include laminate, engineered wood, and real wood versions. 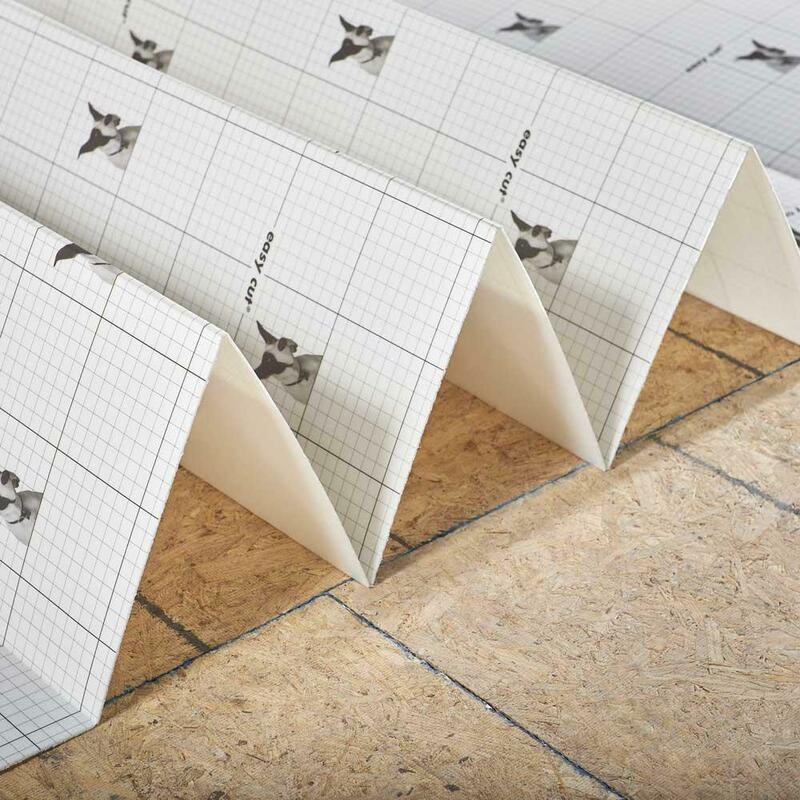 Having a properly installed and rated underlayment is crucial and required for the final floating flooring system above it to work effectively now and for years to come. While most basic underlayments can do the bare minimum for cushioning for the planks installed above them, some don't have a moisture barrier or even sound proofing qualities. This is where luckily the Pergo FloorMate system comes into play. It doesn't roll out like traditional underlayments, which can curl up and requires tape to start the install. Pergo FloorMate is ready to be put down over a clean and level subfloor, and lays flat. It comes with pre-taped sides, so any small imperfections on the subfloor will be remedied by its thickness. Since it has cut guidelines on it, installing it around areas could never be simpler. 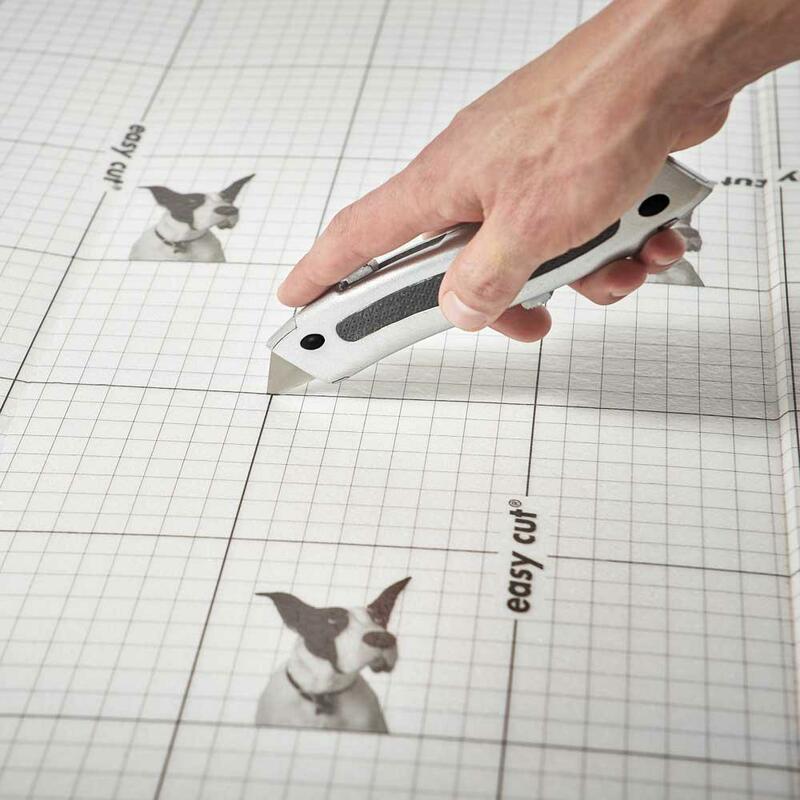 Simply use a sharp utility knife to cut, and the moisture barrier and underlayment will give you a quiet foundation for your new floors! 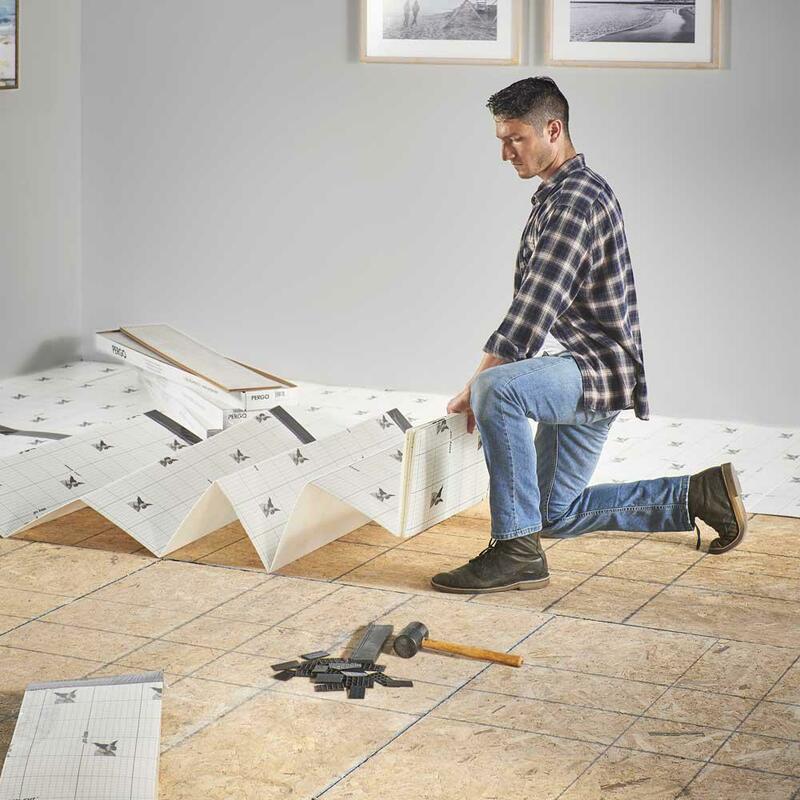 Each package carries 100 square feet, so measure your rooms first to determine how much of this underlayment as well as flooring and moulding pieces you'll need. If you wish to purchase a Pergo laminate flooring system with pre-attached underlayment already on the planks, you can still use the FloorMate for added cushioning! 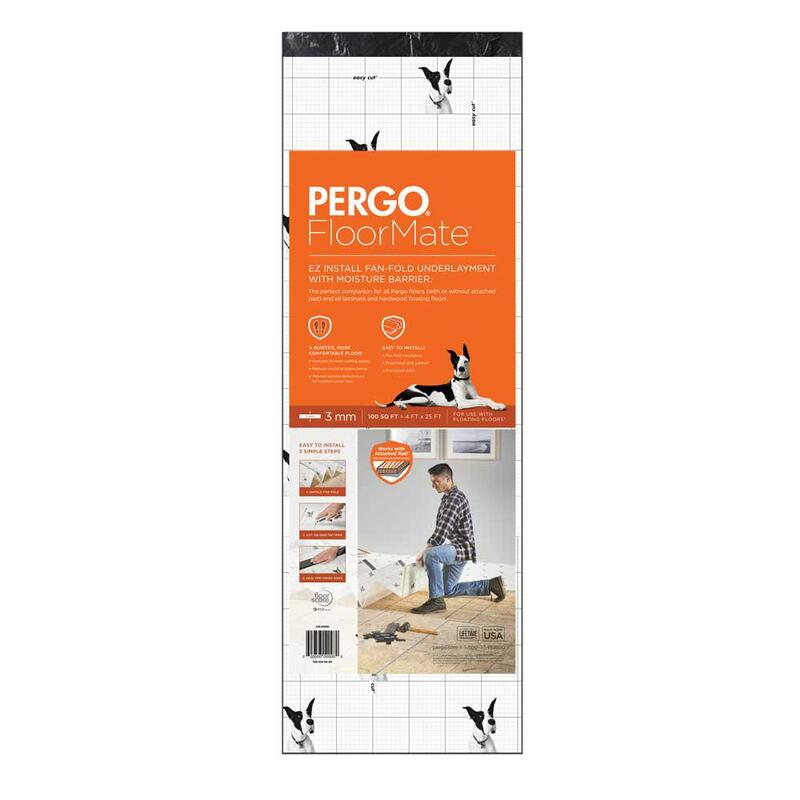 So in short, to help create a warmer, softer, and more secure new floor, consider using the new Pergo FloorMate underlayment system available at your local Home Depot store! For this and any other flooring questions, please do not hesitate to ask us here!